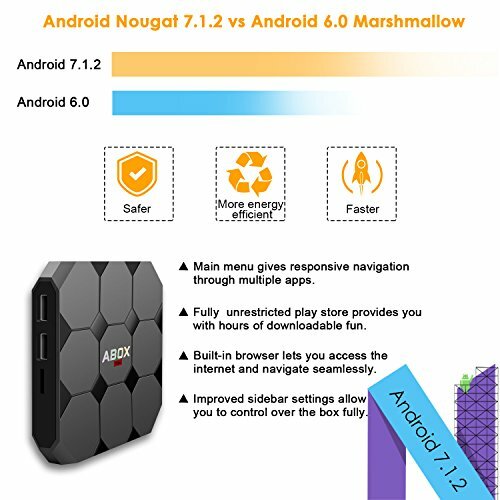 ★ A Sweet Update to Nougat: GooBang Doo ABOX MAX TV box runs on the latest Android 7.1.2 OS which adds a handful of new features as well as optimization and bug fixes, rather than being radically different from the Marshmallow 6.0 version. With GooBang Doo's sleekest user interface, you can quickly find and enjoy the entertainment you are in the mood for. 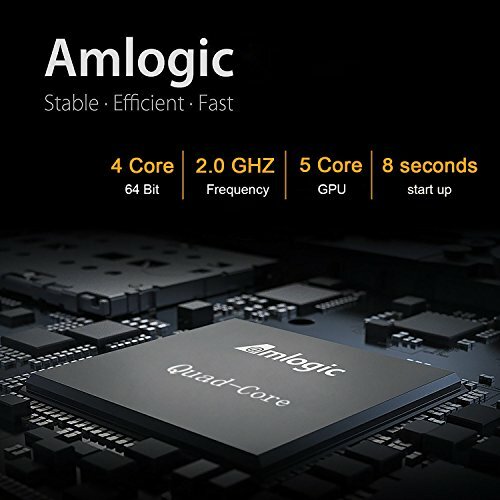 ★ New Generation Multimedia SoC: Powered by Amlogic Quad core A53 processor, it's fast enough to run video flawlessly. With a Mali 450MP3 GPU focusing on maximizing processing efficiency, it features high end video playback capabilities. 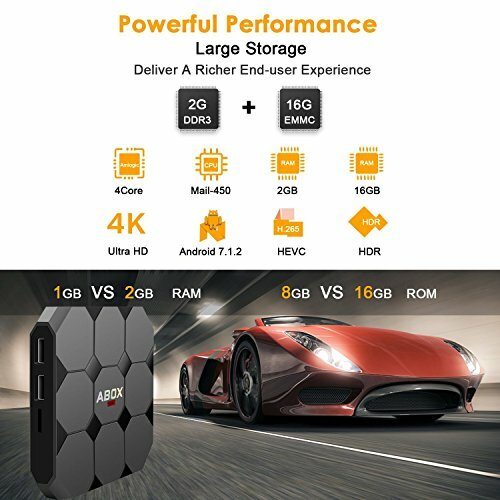 ★ High-Level Configuration: 2GB DDR RAM, higher running speed, without buffering or breaking down; 16GB ROM Flash, enough room for installing APKs, games etc. You can also expand the memory via micro SD card slot (up to 128GB). Never worry about running out of space. 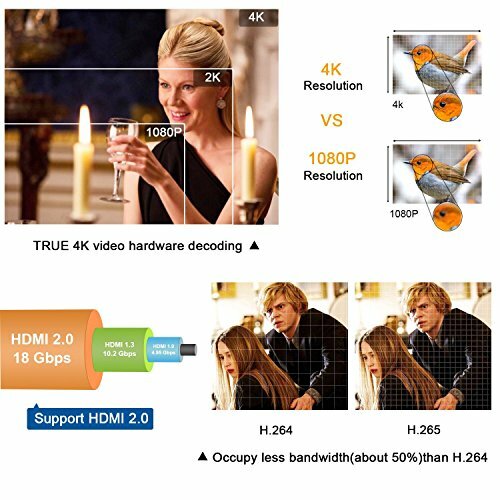 ★ Extreme Visual Feasts: The newest Amlogic processor supports 4K video decoding and HDR media profile. 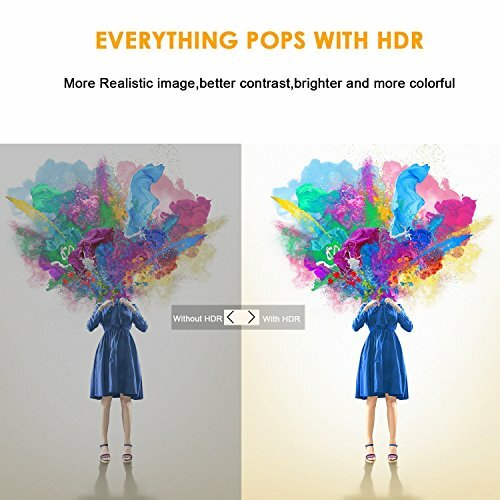 Whether you're streaming in HD, 4K, or HDR, you'll get clear, immersive picture quality that's optimized for your TV with crisp details and rich color. All the details will be caught by your eyes. 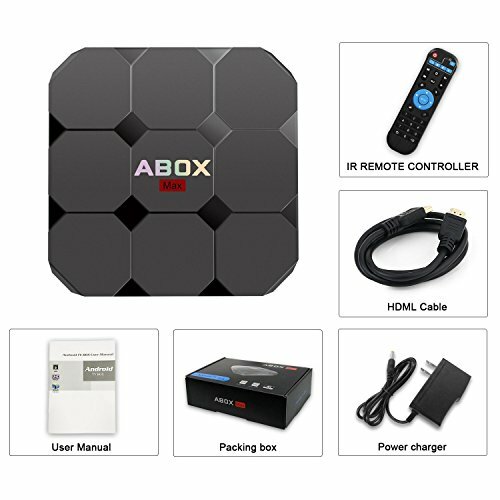 ★ Striking Looking Design: With its irregular shell and interesting geometric detail, GooBang Doo ABOX MAX TV box definitely stands out in a good way. The front illuminating LED displays how the item is connected (WIFI or LAN), and the time of day. 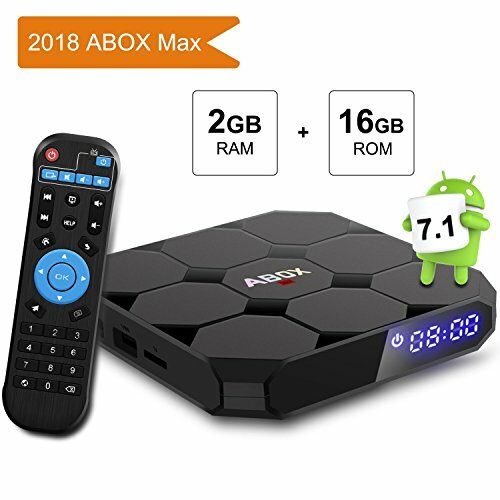 Running on Android Nougat 7.1.2, GooBang Doo ABOX MAX TV box has 2GB RAM, and 16GB storage space, enough for installing any of your desired APPs. 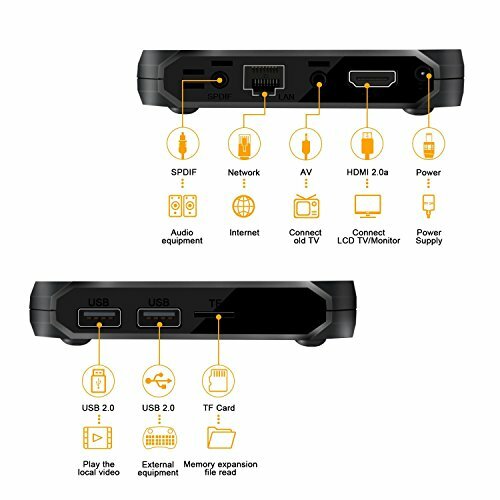 You won't worry about video interruptions and picture distortion. The on-screen programming is user-friendly, and quite intuitive. It provides a nice customization option, allowing you to add your favorite apps to the home screen. 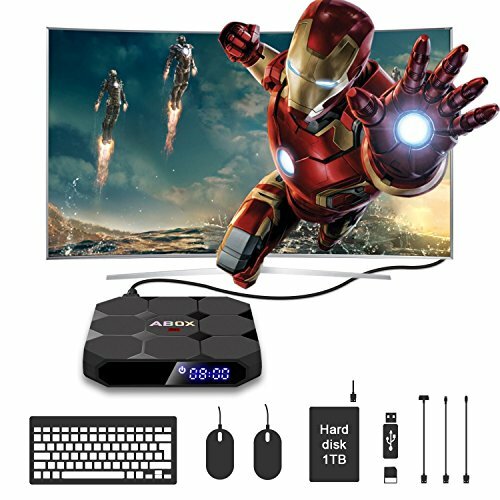 Simply plug it into your TV, and you're good to go! Support Language: English/French/German/Spanish/Italian and more.